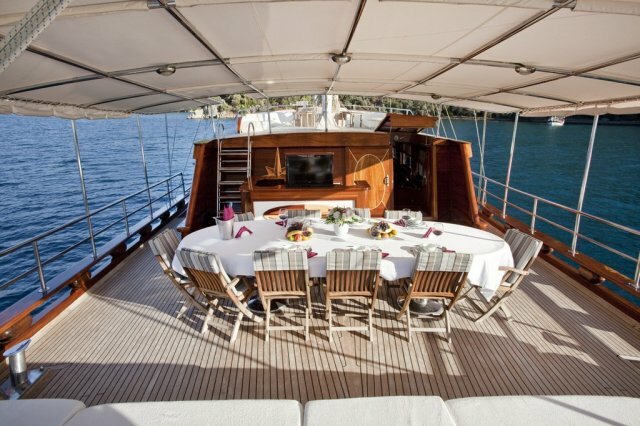 The S.Dogu gulet, launched in Marmaris 2007, combines comfort and elegance with tradition, and offers great cruising experience for those who desire excellent, caring professional service. With six spacious cabins, 32 meters in length, personal space and privacy are a priority during your blue cruise in Turkey on board the S.Dogu gulet. She offers a large interior designed saloon furnished and equipped for the comfort you will only expect to find in your home. There is almost everything you could ask for in quality entertainment including TV, a DVD player and a high stereo music system with a selection of CDs, library and games; as well as Wi-Fi internet. 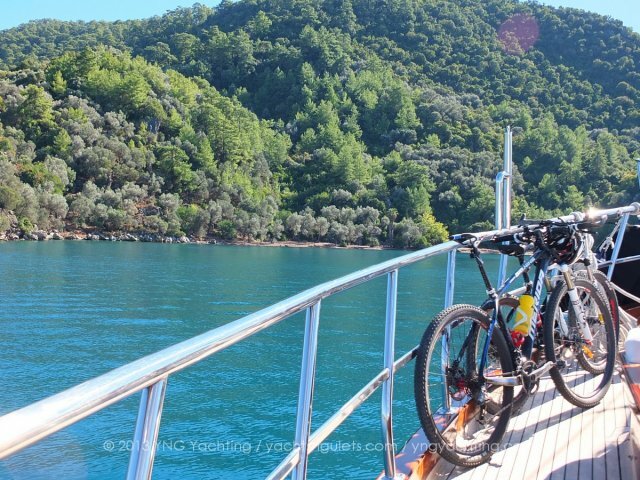 The S. Dogu gulet features a jacuzzi on the fly bridge from where guests can enjoy impressive scenery during their private gulet charter holiday.